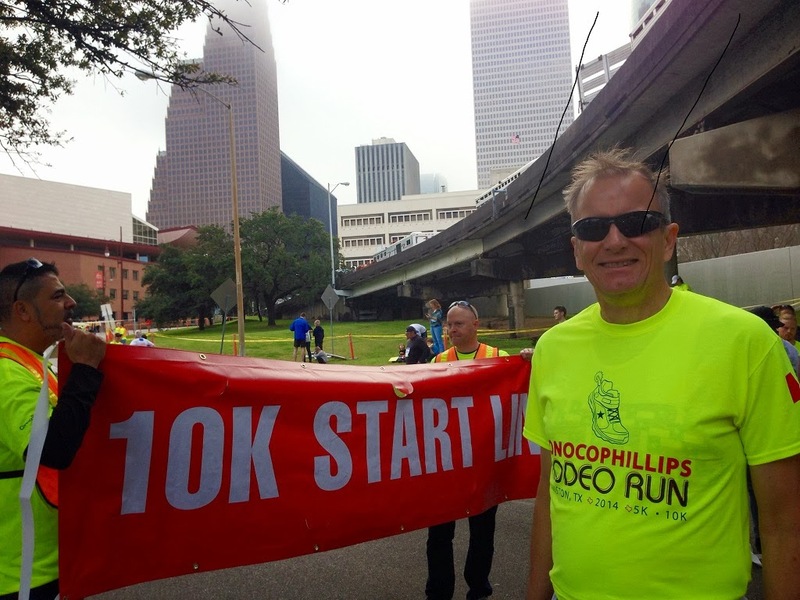 Every year the single 10K race that I look forward to the most is the Rodeo Run. This year again fully met my expectations. Arriving early with my wife and her friend, both of whom ran the 5K, we had plenty of time to check-out some horses and decorations of the parade floats prior to my 10K and subsequently their 5K start. These floats and horses, along with hundreds of parade participants, are viewed by tens of thousands of spectators in Downtown Houston each year to dramatically kick-off the start of the Rodeo. The spectators, eager to see and cheer for a parade of any kind, are consistently enthusiastic and supportive of the nearly ten thousand 5K and 10K Rodeo Run runners. 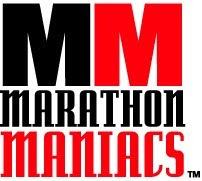 This, combined with the high volume shouted encouragement of numerous announcers along the downtown streets, creates a truly celebratory mood particularly in the first mile where the spectator support is the greatest. Resulting from the cheering crowds and my fresh legs, I consistently find it hard to initially moderate my pace in order to run the second half of the race faster than the first half (Kenyan Way coach Sean Wade's number one rule!) Sadly, as is oft the case, my earliest mile pace was my fastest, and I subsequently gradually slowed until the final mile, when provoked by a runner in my age group passing me my competitive juices kicked-in and I was spurred to catch him - which I did just before the finish line! My mile-by-mile paces, on a 70 degree nearly 100% humidity morning were: 7:46, 7:46, 7:58, 8:23, 8:23, then 8:08. While far from my personal best time I succeeded in protecting my legs for the far more important 200 mile Texas Independence Relay which I will be running with eleven friends in four weeks. My calves, which I've had issues with in the past months, felt good throughout the race. For this I again thank Connie, whose therapeutic massage skills have allowed me to run three races in the past two months. After the race was over I was happy to see that within my division I placed 11th out of 146 - within the top ten percent. 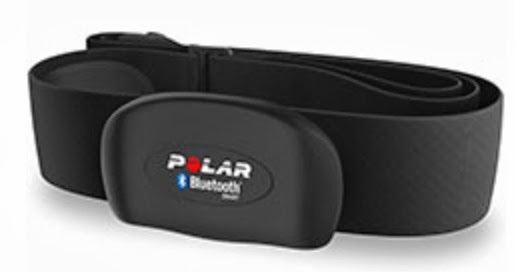 Earlier this week I purchased via Amazon a highly rated Bluetooth heart rate monitor, the Polar H7. It paired easily with my iPhone 5 and, thanks to it being natively supported by the iSmoothRun App I used it to monitor and announce each prior mile's total mileage, pace, cadence and heart rate - all while otherwise playing a motivating music playlist. This information, conveniently provided without my needing to glance down at my wrist as I had previously done with my Garmin Forerunner proved helpful via cautioning me against a dramatic increase in exertion seen through a sharp increase in heart rate. 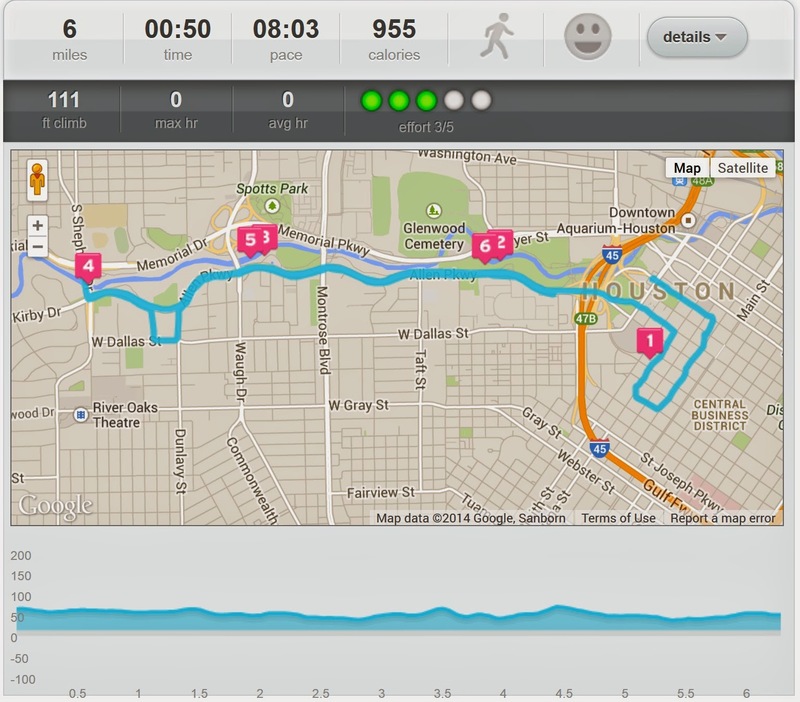 The Polar H7 worked well with the iSmoothRun App, and conveniently auto-uploads afterward to DailyMile and RunKeeper. Bottom line, while I am new to using the Polar H7, I give it a big thumbs up. Although you didn't quite execute the coach's plan, still a good race in tough conditions Mark.